Saruni Mara is the smallest permanent lodge in the Masai Mara (just five cottages, a family suite and a private house) and is a deluxe and intimate lodge located in the Mara North Conservancy which borders the Masai Mara National Reserve. Choosing the Mara North Conservancy is a great choice as there are only 12 lodges in the private conservancy which means very limited cars out on the plains offering a very personal, responsible and authentic safari experience. Game viewing here is excellent year round. 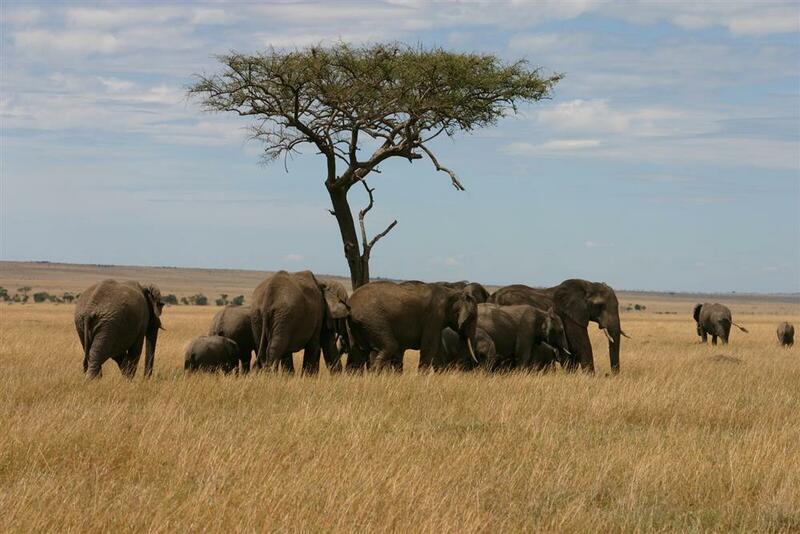 At Saruni Mara you experience wonderful Kenyan culture and wonderfully appointed accommodation and facilities. There are stunning views over the Mara plains and the lodge is one of the most luxurious in the Masai Mara, combining style and elegance with a wonderful sense of adventure and authenticity. The lodge is set in a remote valley in a private conservation area and offers a new concept of African Safari: a real African adventure lived in harmony with the local Maasai tribes coupled with high standards of style and comfort. 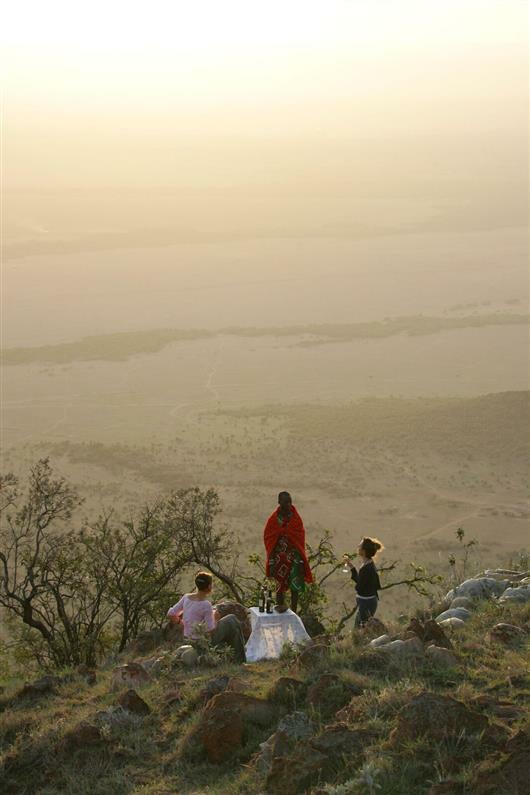 Saruni offer very cultural and authentic safaris in isolated locations away from the crowds where you are guided by Maasai warriors and learn about their traditions cultures and history a truly very special experience. Saruni Mara accommodates just eighteen guests in six cottages each individually designed and themed with comfortable furnishings, magnificent en-suite bathrooms, including a “shower with a view” and a veranda the perfect place to relax in between game viewing and absorb the beauty of your surroundings. This is a perfect choice for honeymoons, romantic breaks or families. There is also a private villa, one of the few properties in the Mara offering this, with two bedrooms. Staying in the heart of one of Africa’s most fascinating wildlife eco-systems, you can expect to enjoy some wonderful photographic opportunities from the comfort of your room as elephants, waterbucks, bushbucks and impalas traverse freely and peacefully on the grounds of the camp. There is even a tame eland that was orphaned as a baby and raised by cattle, who lives in the camp and regularly wanders through inquisitively, munching on the lawns and greeting the new guests! 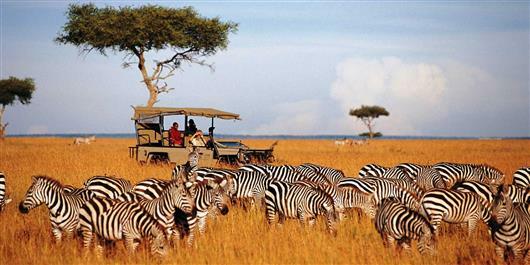 Game viewing in the Mara is incredible all year round. The main areas of Saruni Mara comprise of the magnificent lounge where guests enjoy a sumptuous blend of African and European cuisine, sit around the fire and chat over the days game viewings and a well stocked library. There is additionally a Maasai Wellbeing Space combining Centro Benessere Stresa methods with ancient Maasai knowledge and traditions, this is the perfect place to completely unwind as you enjoy a treatment with the sounds of the African forest echoing all around you. 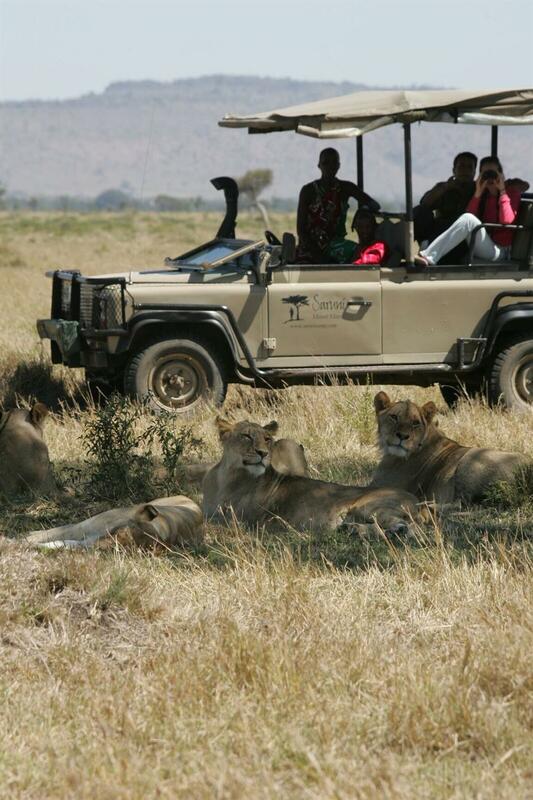 At Saruni Mara you experience day and night game drives, walking safari’s, experience wonderful bush dinners and see Kenya through the eyes of your local Maasai guides who have lived on this land for centuries.